People who are planning to buy a new phone should wait as Reliance Jio announced a flash sale of JioPhone 2 on September 12. As per company’s website – jio.com, the sale will start at 12:00 pm on Wednesday. Since the launch of phone, it is the fourth time that company has been coming up the fourth flash sale of JioPhone 2. Previously, the company brought the flash sale on August 16, August 30 and September 6. Know more. Mukesh Ambani’s company launched JioPhone last year and JioPhone 2 this year on August 16. JioPhone2 is an upgraded version of 4G-enabled device. To buy the phone, the phone consumers must visit the official website of Jio. Select Jiophone 2 and then fill all the required details for buying the phone. Choose the desired payment option. Once the order is placed, confirmation will be made. 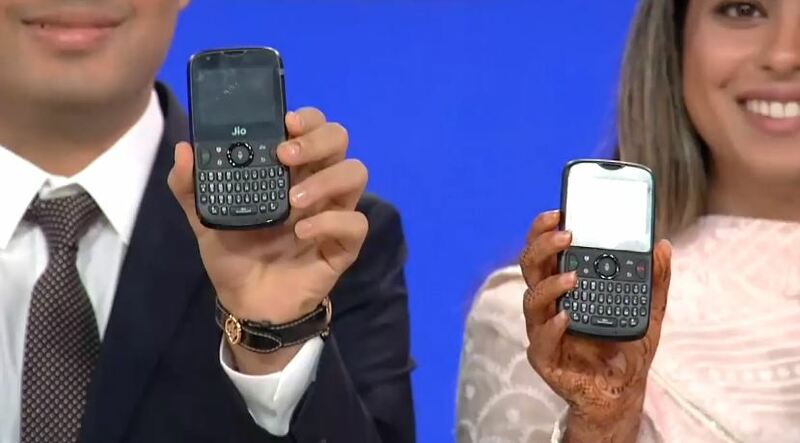 JioPhone2 features the QWERTY keypad. It sports 2.4-inch QVGA TFT display. This phone runs on KaiOS. It comes with dual SIM card support and 2 MP primary camera and a VGA camera on the front panel. It has 512MB RAM and 4GB internal storage which can be further expanded via microSD card. This phone is available with pre-installed WhatsApp, Facebook, YouTube and Google Maps. JioPhone 2 supports 4G, VoLTE, VoWiFi, 3.5G, 2G, WiFi, LTE Cat4 DL, FM Radio, Bluetooth, GPS, and NFC in terms of connectivity. This phone offers battery backup of 2000mAh. The phone is priced at Rs 2,999.